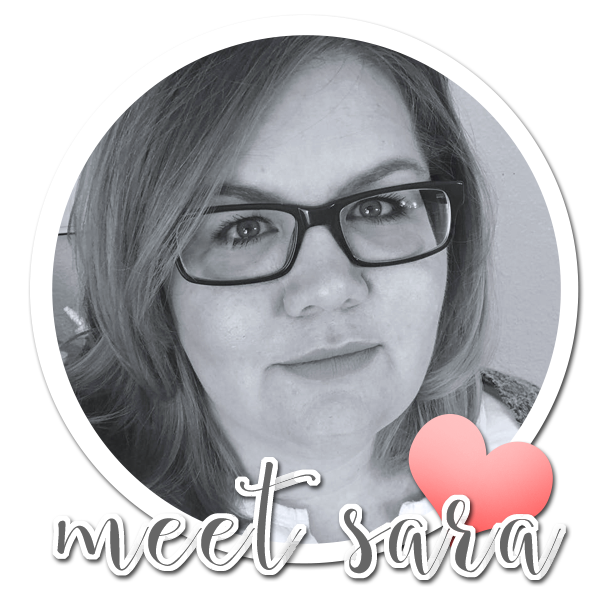 Much love, Sara | Cards & Paper projects made with love: Birthday Cheers! 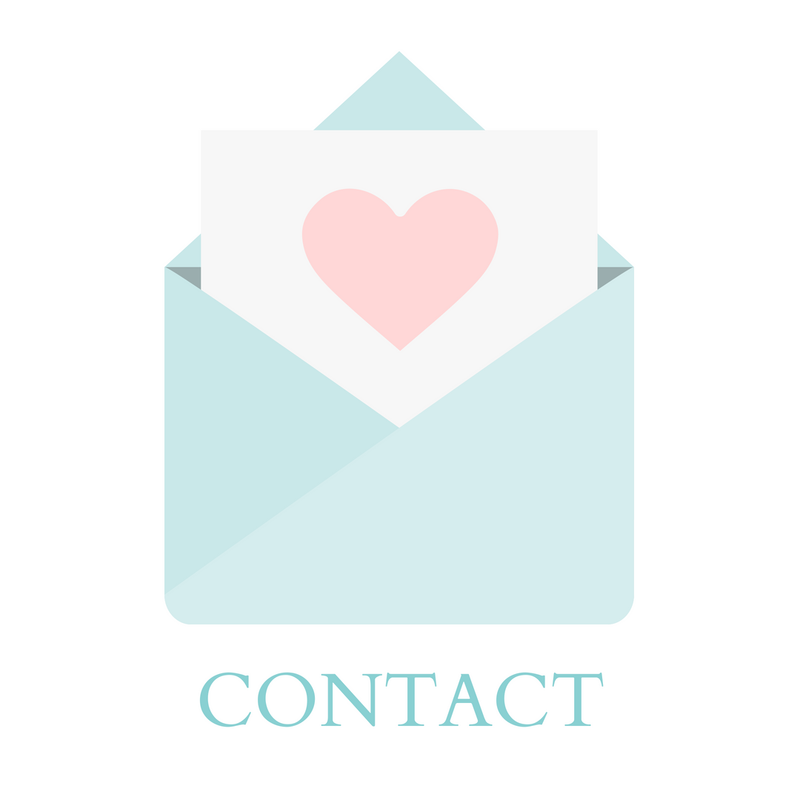 A couple of years ago, I set a goal for myself to send out birthday cards to my family - and not just my mom, siblings, kids, and grands - but my cousins and their kids too! And I was sending out birthday cards to a huge list of friends as well. The post office loved me that year, as I was sending multiple cards each week. And, over the course of that year, I came to love cards that were fun, and easy to create in a wide variety of colors, to suit different people. 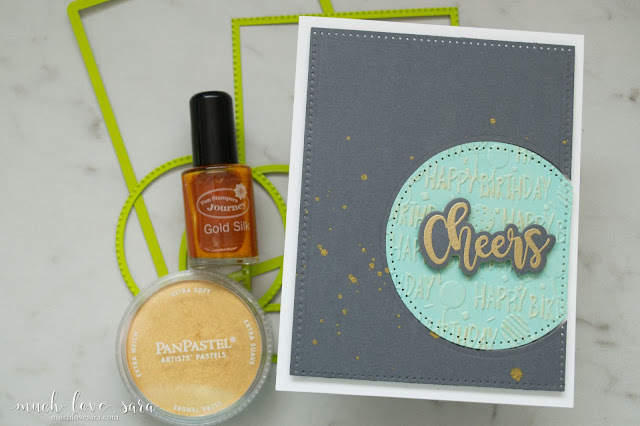 Today's card focuses on a simple classy look, that can easily be made fun and funky, or soft and sweet, simply by switching out the colors of card stock, PanPastel, and Silk. 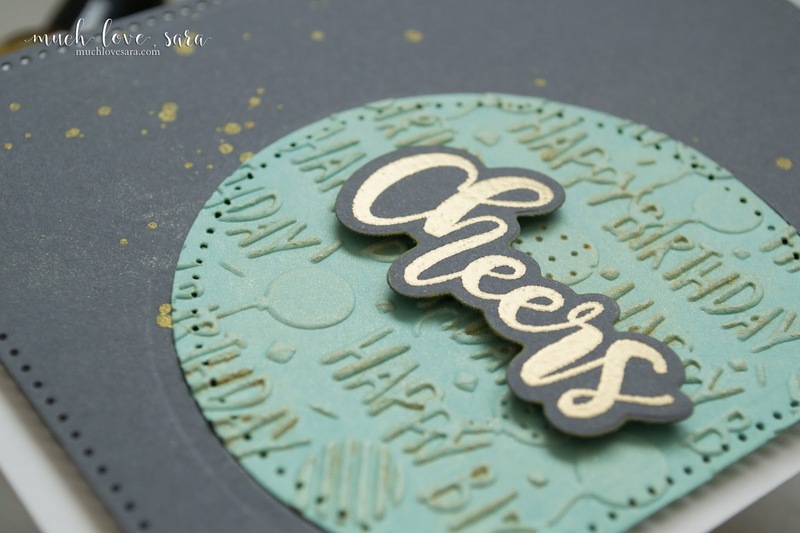 The card started with a Whip Cream card base, and a pierced circle cut from Cool Pool card stock. 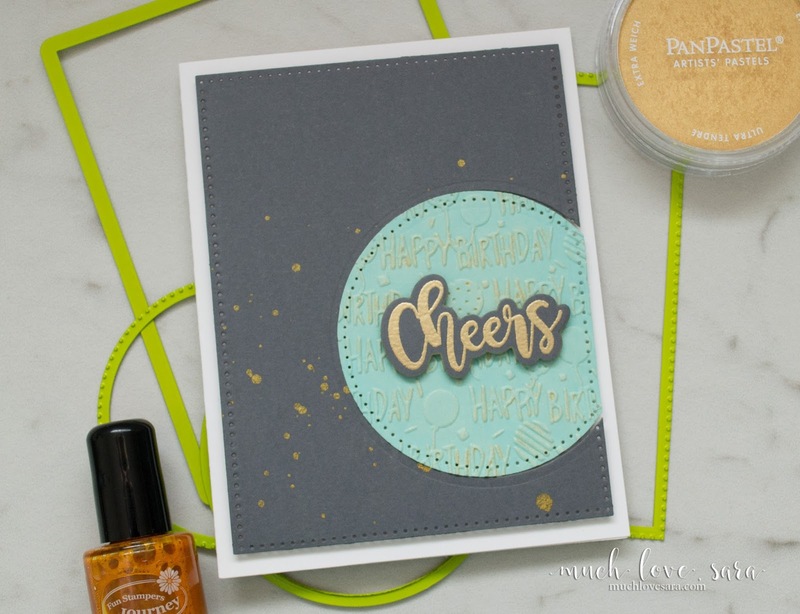 I dry embossed the circle with the NEW Birthday Bash Embossing Folder, and then lightly brushed the raised impression with a bit of Brushed Gold PanPastel. To inset the circle, I die cut my Rock Candy rectangle first, and splattered it with some Gold Silk. Then, I cut a circle in the card front with the same circle die I used to cut my Cool Pool piece. I used a bit of scrap card stock on the back , and adhered my Cool Pool piece into the Rock Candy rectangle with some craft glue. I trimmed off the excess, and then ran the piece back through my die cut machine, with the piercing die for the rectangle. My sentiment was heat embossed, and die cut from the circle that was cut from the Rock Candy card stock. Ready to make your own? 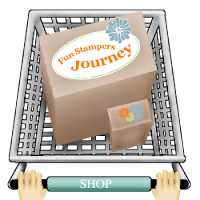 Click the shopping cart below or in the sidebar to shop for the supplies!